Anyone who considers something today, can be found in the evening at a vernissage. Everyone drinks champagne, everyone looks focused, all nodding knowingly. Because that’s the true art of opening an exhibition: standing around and still looking smart. We do it differently! 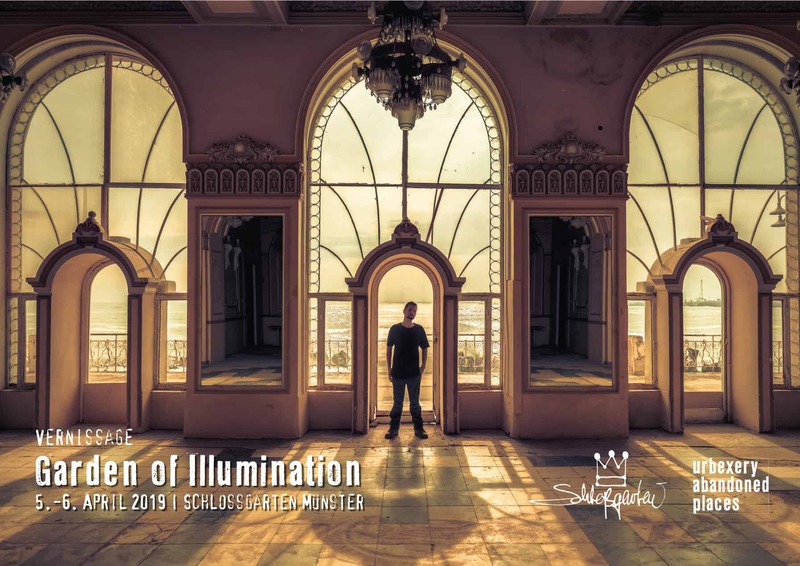 As part of the “Münster Leuchtet 2019” I show you a selection of my works on both evenings. The entire palace garden is illuminated, the Schlossgarten café and the hall are immersed in the charm of the forgotten. I will be present and look forward to exciting discussions, see you there.